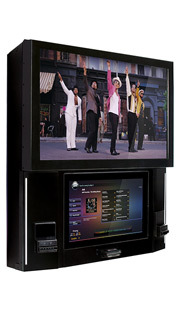 We offer a great selection of jukeboxes to choose from. To learn more visit the manufacturer websites below. 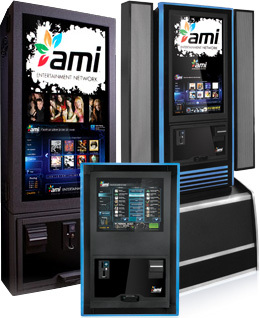 The AMI Video Upgrade Kit lets you connect your jukebox to a nearby TV, providing access to a music television channel with thousands of music videos available on-demand. 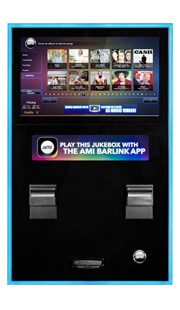 Patrons can select videos right from the jukebox alongside their favorite songs! This premium upgrade gives your jukebox a cuttingedge visual advantage that patrons can't miss and locations will love. Pop, Rock, Hip-Hop. Punk, Funk, Crunk. Tejano, Emo, Screamo. Everyone has different musical tastes, and with over 650,000 songs on our network your customers will find every song they want, whenever they want it. Our eye-catching jukeboxes fill the room with killer sound and quality tunes in every genre imaginable – and that's the kind of thing that makes people to choose one location over another. Give them 650,000 reasons to choose yours. 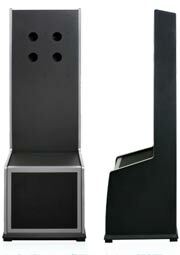 With a compact 31 x 19.5 inch frame, the NGX Mini 2 outpaces jukeboxes twice its size. Powered by the same software and unbeatable music library as a standard NGX, the Mini 2 is perfect when space is at a premium. The Ultra's 32" wide HDTV displays eye-catching music videos and custom ads, and its dynamic backlighting beats to the music as it's played. 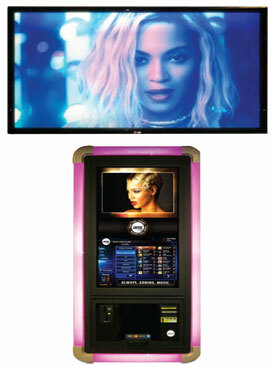 Put simply, the NGX Ultra's innovative design, revenue-boosting features, and powerful promotional capabilities take the jukebox experience to a whole new level.